So, how many tweets does one need to be considered a social media expert? Twitter is looking for a new "Media Evangelist" — officially titled "Head of News and Journalism", NBC News Chief Vivian Schiller is currently the favourite for the position. But an opinion piece by Ruth Bazinet on Medium says that she is the wrong person for the job. Why? Because of her Twitter profile. But it lacks the most important element that should be ringing alarm bells at Twitter HQ —a significant number of tweets. How can someone who has tweeted less than 1,200 times have the practical, hands-on knowledge of the platform required to evangelize it to other news media professionals? Twitter needs a veteran, someone who is an expert not only about the platform itself, but who also understands how people, including other journalists, are using it. In short, the view is that Twitter is heavily reliant on "power users" — those who are tweeting dozens of times a day. I think thats a view that misses the point of what Twitter is and where its heading. Maybe three or four years ago, when Twitter was a social network for the bloggers, journalists and technorati, it would have seemed a more valid point; but today, Twitter is something different. It has changed. The fastest, simplest way to stay close to everything you care about. Twitter is a real-time information network powered by people all around the world that lets you share and discover what's happening now. Note the differences; out with "share", in with "follow." Out with "powered by people all around the world", and in with "latest stories, ideas, opinions and news". We had two hypotheses as to why they do post. One is that they like to share information with world, that they want to reach others. This is an intrinsic motivation. They enjoy the act of contributing. The second hypothesis is that posting is self-promotional, a way to attract followers to be able to earn higher status on the platform. Judging by how people behaved once they achieved popularity—they posted far less content—we believe the second hypothesis is probably the primary motivation. If the primary motivation were to share with the world, most people would not slow down posting just because they were popular. But most people did slow down as they gained followers. So I don't think the role of Twitter's "Head of News and Journalism" is going to be about showing journalists how they can talk to their audiences; its in showing news organisations how they can use Twitter to broaden their audiences. It isn't about showing editors how they can "listen" to what their readers are saying; its about showing them what they can learn from the data coming from Twitter. In other words, its going to be showing news organisations how to move forwards from the "old Twitter" world that Ruth Bazinet's article seems to be talking about, and towards the "new Twitter" that it is becoming, where Twitter isn't a platform for "engaging" or "interacting", but a platform for distribution. Old Twitter wanted to be the internet's watering hole, where everyone came together to talk. New Twitter wants to be the internet's front page; Google will tell you what you want to know, but Twitter will tell you what you didn't know you wanted to know. Discovery, rather than Search. 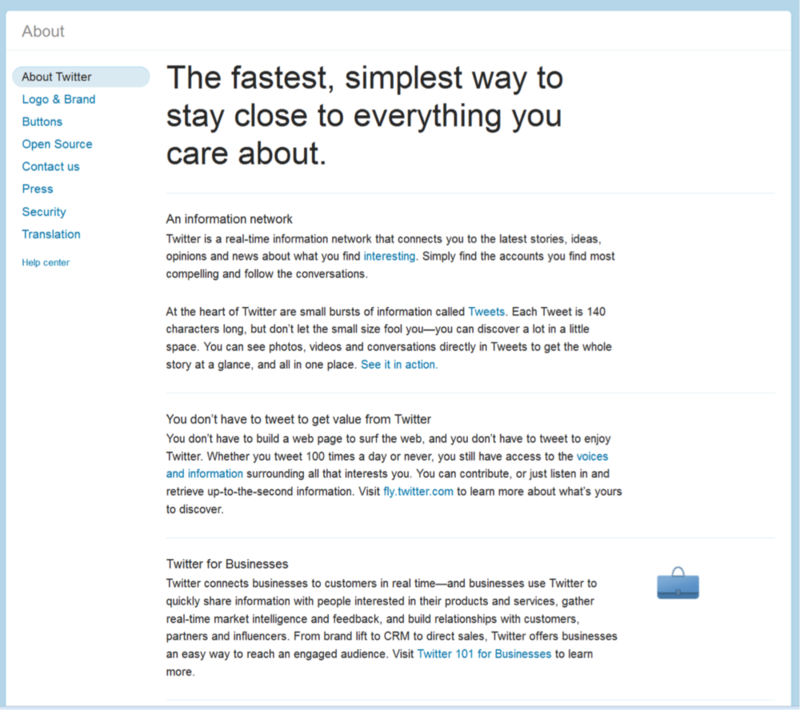 Ultimately, thats not really a change in what Twitter wants to be — but it is a slightly different way of becoming it. I should probably note that I'm not particularly in favour of this shift that is going on (or rather, has already happened.) I like old Twitter, where it felt like the place where interesting things on the Web were happening, and it was small enough to feel like a community — where a celebrity making a typo or grammatical error wasn't seen as an invitation for hundreds of people to correct them. But… its probably just a natural consequence of Twitter's need over time to grow its user base and develop its business. If they had decided against advertising as a core business model, perhaps it would be a very different story today.